One thing for sure is that MAC know how to create a great lipstick, whether it's the shade or the finish, they really know what they are doing. MAC lipsticks from left to right; Velvet Teddy, Twig, Twig (Brand New), Creme Cup, Vegas Volt, Sweet & Sour, Rebel, Pink Pearl Pop and Asian Flower. The first shade I purchased from MAC was Pink Pearl Pop, I love pink shades so I thought I would kind of play it safe with something I was familiar with and I ended up loving it. Most of the shades I do tend to purchase in a cremesheen finish only because I find them moisturising for my lips and they are also so easy to apply. Matte on the other hand is not my best friend, I don't think I am the only one, but I have even applied lip balm before apply matte shades and it is just looks horrible after a while as my lips start to feel so dry and the lipstick is just clinging on to the dry patches - nice - I know. So far my favourite is Creme Cup as it just compliments every look, bold smokey eye? Looks great. Neutral eye? Still looks great. I adore it. 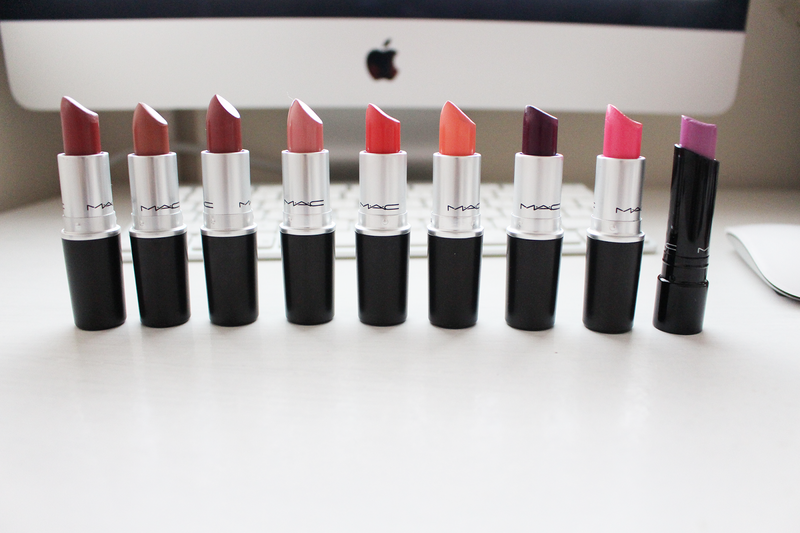 What shades are in your MAC collection? Pink Pearl Pop looks like a gorgeous colour, though Rebel id most definitely my all time favourite Mac shade with Lady Danger coming close behind. 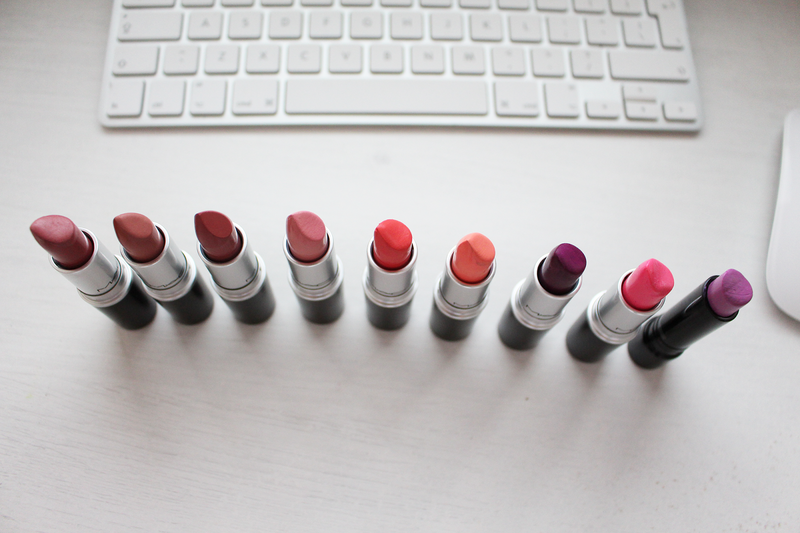 I have never used a MAC lipstick before these look so pretty! I just bought Twig and i'm in love with it! These colours are beautiful. Nice shade range! Thanks for sharing!